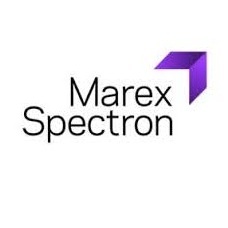 Marex Spectron, the multi-asset brokerage house, has decided to terminate its FX operations following a rut of underwhelming revenues and volumes and an exodus of key executive personnel to GAIN Capital. Times are tough in the forex industry with waning volumes and revenues – with many firms and brokers facing tightened profit margins or investor pressure, many have been forced to restructure their business, with Marex Spectron being no exception. According to a recent public statement issued by Marex Spectron, “The demand for FX services has contracted across the industry. FX is not a core business for Marex Spectron and it was an immaterial element of our revenue stream.” Marex will instead consolidate its operations and will focus its efforts on core business activities instead – however, the broker has reiterated it will continue to offer FX hedging services, albeit relegated to core commodities clients. As recently as this month, Marex hired Chris Harland to head its FX Sales and Trading team. This move was apparently not enough to allay a downturn in volumes for the broker, which was perhaps exacerbated by the outflow of talent in departing Paul Spillman, Peter Snasdell and Keith Mash, all of whom now work at GAIN Capital.